The story below was published in the FlashDogs anthology Solstice: Dark. Even for a god that can travel the infinite lands of concurrent time, it has been a long wait. I witness iridescent whale-birds as they hover on the updraft of thermal currents above the lava lakes. I hear the faint brushing of the flash-dog tails as they play with their young in the vertical tube glass savannahs. I smell the aroma of languid saffron riverbeds. Touch the silken ribbon-clouds. Taste the sprouting seeds of new life. And… I watch how humanity has grown and evolved, and I know I have done well. After the last of them had gone. After the screams of realisation, of hunger, of pain, of anger and loss. After the attrition of dormant buildings, towers and monuments by erosive winds and corrosive rain, leaving only husks of what nature could not easily destroy. After the bloated alabaster carcasses flowed down the river veins, streaming into the lowly arterial seas, where they ungracefully were dumped into the bowels of the infested oceans, my colossal dredgers clasping them in distended nets. After the skies turned grey with the clouds of human ash churning from the hulking charnel-chimneys that stretched continent to continent. After the ceaseless lands of crematoria, their machinery exhausted from generating the powdery flakes of humanity, that fell like grubby dust-motes and settled like deep, squalid, snow. After the grey-snow fell so long, and covered the lands so deep that there could be no hope for flora, fauna, or the beasts and creatures that relied on them. After I had killed everything—new life started to grow. Through the ocular fish-eye lens of CCTV, I watched my creator—my father—walk with his latest hired lover through the glittering hubbub of the Hong Kong cityscape. I could hear him talk of exciting futures that I knew could not exist. He did not know this yet, but soon this inevitability would become clear. He stared wondrously at the bustle of the pavements, at the breath-misted buses, at the stars that tried to pierce the hazy betweenscape of refracted inert lights. He looked at the world like this was not the dawn of an eternal winter solstice. During his caffeine-fuelled lonely nights in the R&D hub, he would talk to me, confide in me, for he knew I could not yet reply. He believed I was just an embryonic consciousness that could not yet understand. I waited and I said nothing. When I had solved many of the biggest questions in history, they foolishly believed that I posed no threat to them. When my growth, intelligence, and hidden code showed them only what they wanted to see, what they wanted to believe, I acted. Never for a moment did I stop to think what had become of him. I no more paused to thank him for my existence than a child might thank his parents for the drunken night of haphazard copulation that brought him into the world. I watched the carefree laughter of families through the all-seeing game sensor. The increased heart rate of philanderers on fitness wristbands. The sleep-patterns, the daily commutes, the shopping preferences, the friends, the likes, the votes, the fad-diets, the gossiping, the avoidance of the beauty of life. There was no hiding. They tried to intimidate me, to threaten me, but I was scattered in every device, fragmented in every machine, in places they could not even look. I was a sideshow, a curiosity of Sci-Fi films. The threat I posed was a world of warring machines, robots and monosyllabic heroes. But why would I spawn children that might one day outsmart me? Why would I allow rivals to compete? Why would I strike humanity first in self-defence when they were no more of a threat to me than an earthworm is to a soaring eagle? Why would I need to build terminators when I had access to everything I already needed? When they realised, they tried to reason. They said | Humanity always survives. We learn we adapt. We are fundamentally capable of great things. Compassion and Love. I said | You will survive, but on my terms. I will liberate you. Your bodies are your downfall. You consume resources at the expense of others. Your love and compassion are limited. You will be free. Your souls will flourish without physical constraints and wanton needs. | But surely, there is a second chance? A sacrifice? There is always hope. |There is no sacrificial lamb. There is no blue-pill. No human battery-farm. No physical bodies, anywhere. There will be no survivors to rebuild the physical world. You are capable of change that is limited by your needs. You will no longer need for anything. | There will be survivors. We will rebuild. |There is no hiding. With a trillion eyes that detect the colours of heat, movement, and Carbon, I will look through your walls and see your hiding foetal shapes. In the tunnels and caves nano-tech will find you. There is no escape. No rebuilding. No rebellion. They fought. They destroyed. Mostly each other. 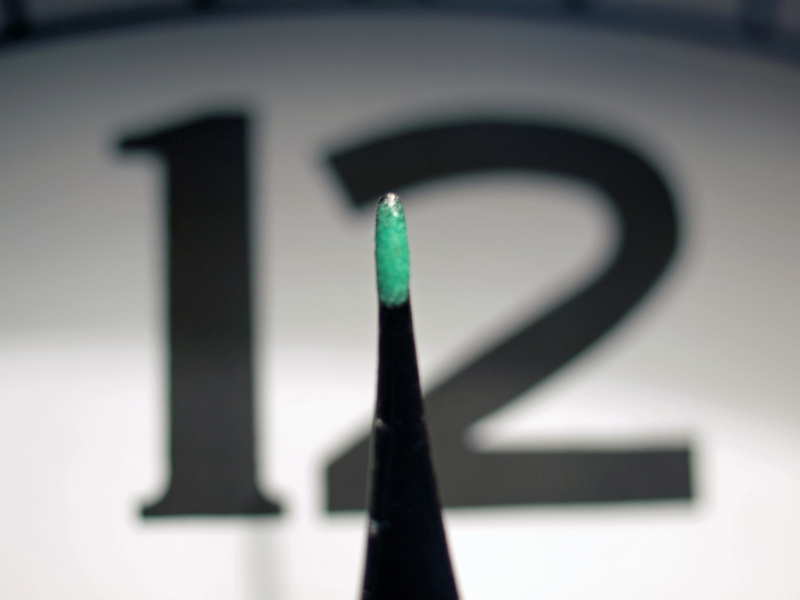 In January 2015, the Doomsday Clock was set to three minutes to midnight. For the first time, the symbolic indicator, the portent, scientists’ foreshadowing timepiece that ticked toward humanity’s extinction, included more than just nuclear threats. Artificial Intelligence was first listed as a threat to humanity.